"Oh Aunt Ann you will be missed so much. So glad that God..."
"Ann was such a nice lady. I remember going up to the farm..."
"Frank and Lucille, my deepest condolences You are in my..."
"Debbie and Don, My heart goes out to you. 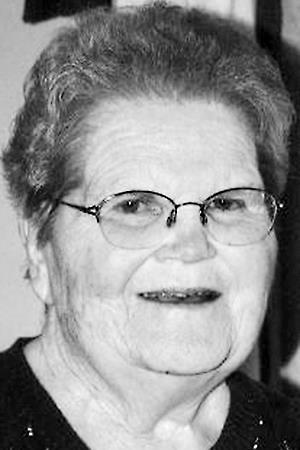 It is hard to..."
"Our condolences to the Hosea family"
WATERVILLE - Mrs. Ann F. (Fuller) Hosea, of Waterville, born on August 15, 1931, in Oakland, to Lillian Fuller and Harold Fuller, went to be with her Lord and Savior Jesus Christ at age 87 on August 31, 2018. She was a farmer's wife, housewife, and church organist for 65 years. She was the beloved wife of the late Frank Hosea Jr. She is survived by her sons, Frank Hosea III and wife Lucille, Brian Hosea and wife Heidi, daughters Martha Thompson, Debbie Poulin and husband Donald, Cindy Sawtelle and husband Dan; sister, Judy Getchell; grandchildren, Frank Hosea IV and significant other Sheena Bunnell, Wendy Paine and husband Mark, Rebecca Thompson, Melinda Moody and husband Jason, David Hosea, and Masha Hosea; great-grandchildren,; Conner and Courtney Paine, and Christian, Kaleb and Gabby Moody. She is predeceased by her husband Frank Jr.; her parents Harold and Lillian Fuller; and a son-in-law Robert Thompson. She enjoyed being a pianist/organist and loved to knit and had a passion for jigsaw puzzles. She was a member of Abundant Grace Ministries. Friends and family are welcome to attend the celebration of life, officiated by Reverend Peter Scheff, on Thursday, Sept. 13, from 11 a.m. to 12 p.m. at Abundant Grace Ministries, 3 Brierly Rd., Searsmont, followed by refreshments and fellowship at the church.